People aren’t always sure exactly what a book editor does. I’ve found myself explaining it to friends in a variety of ways, in part because the tasks vary from project to project. In a hurry, I’ll just mention the variability of those tasks and leave it at that. Like so many other things in life, the duties of an editor might be bestconveyed through metaphor. Below, you’ll find the ones that get the closest. Book editing is weird work. You do a lot of creative problem solving, and yet you can’t really afford to have too artistic a temperament. Much of the job is maintaining a spirit of collaboration and a fundamental respect for the work and vision of other people. There’s not a lot of room for being punk rock. Maybe you get to be Brian Eno to someone else’s Talking Heads/Devo/U2—ideally not U2—and help shape or refine something great. But I actually like that scenario quite a lot, and not just because the outro on “Found a Job” is such a magical music moment. If you spend a lot of time engaging with and reacting to stories, then pushing a narrative toward the best version of itself is invigorating work. 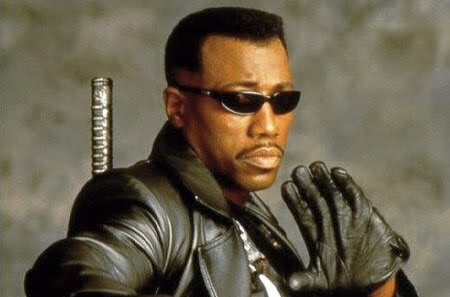 Another way of thinking about it: Blade, born to the recent victim of a vampire attack, possesses the strength and stealth of a vampire but lives without the vulnerability to sunlight, garlic, etc. The most effective editor would be a bit like Blade, walking between the worlds of the creative and the critical-analytical and drawing from the best elements of both. At any rate, this is why I insist on wearing Oakleys inside the office at all times. Meaning, an arbitrator in the court of ideas. Each case is different: maybe one element of a story works well in isolation, and another element also works well in isolation, but both elements don’t work well together. Something needs to go, and an independent arbitrator can bring clear eyes to the dispute. 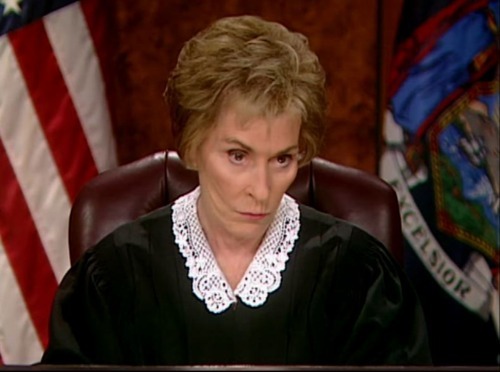 You might think I could have left it at judge, but I’ll argue that the Judy bit is crucial, because Judge Judy plainly cares. Her courtroom is a space of tough love, and so is mine.